Retrace - Audiobook | Listen Instantly! Nia Martins believes that a fresh start will help her leave her traumatic past behind. Moving to a different country, she seeks to shake off her demons by doing the one thing that sets her free from her destructive thoughts—teaching dance. But change doesn't come easy, and all Nia really wants is to take the next breath without the perpetual suffocation that follows. Reeves Mitchell has looked death in the eye so many times that it has become habitual. That is, until his best friend's life was on the line. When the one thing he feared the most turns into reality, all that Reeves can do is pick up the pieces of his loss. As he tries to live with it, he persistently and steadily builds a thick wall around himself. Nia's and Reeves's solitary lives are all they have—until fate brings them together. Nia and Reeves's new friendship helps make life, shadowed by the ghosts of their past, more bearable. But can they ever break free from the chains of the past? Contains mature themes. Download and start listening now! 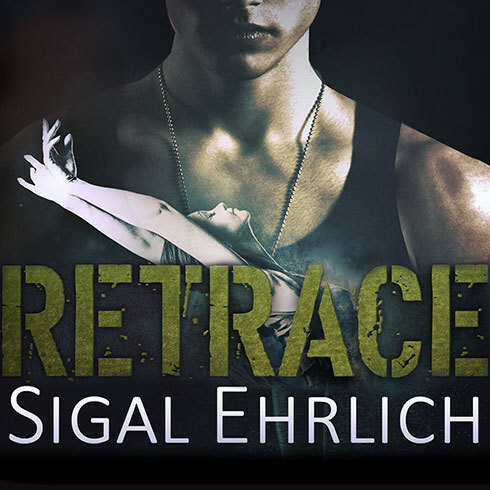 Sigal Ehrlich is a wife, a mother, a reader, and a non-romantic that writes romance. By her teenage years, she had already lived on three different continents where she was lucky enough to experience and visit varied places and meet unique people. Currently, Sigal calls Estonia home where she lives with her husband and three kids. Rob Shapiro is a musician, writer, voice actor, and Earphones Award–winning narrator. He performed several seasons of radio comedy on Minneapolis Public Radio and voiced the titular lion in Leo the Lion. He is a musician and composer with his critically acclaimed band Populuxe. He is also a business consultant and software system designer.